Tumultuous Week for Stocks... What Does This Mean for Gold? Global stock markets have taken a downward turn over the course of the past week amid fears of a global trade war and China’s retaliations against Trump’s import tariffs. 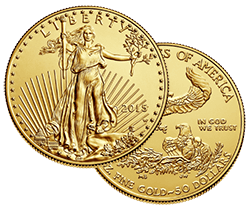 These changes, however, have spelled great news for precious metals investors. In contrast to the turmoil facing global markets, gold and silver are at their highest levels in several weeks. Global investors remained cautious throughout the week, but the biggest shock came on Thursday in overnight trading with the official start of the U.S.-China trade war. In response to Trump’s $50 billion tariffs against Chinese goods, Beijing’s commerce industry retaliated with $3 billion in tariffs against U.S. goods. During the span of the trading week, major U.S. markets like the Dow Jones Industrial Average and the S&P 500 dropped over 800 and 100 points, respectively, while global stock markets like the Nikkei and HSI dropped over 865 and 1,250 points, respectively. Worldwide, global equities are at their lowest levels since November, which has investors seeking out a safe haven in gold and silver. Contrary to the turmoil surrounding global stock markets, the precious metals markets are finally seeing some upward movement. Both gold and silver were up last week. From Monday to Friday, gold rose around 2.3%, while silver was up roughly 1.8% in response to uncertainty in the stock market and a weaker dollar following Wednesday’s Fed meeting. 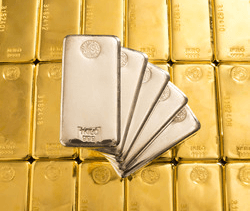 Precious metals began easing out of their narrow trading range in the wake of Fed interest rate hikes and are now proving their value as safe haven assets in light of geopolitical tensions this week. If tumbling stock markets have you looking to balance out your portfolio, we have a number of products currently available at special premiums available this week only! To add any of the below products to your portfolio, please give us a call at 800-831-0007 or email us. *Prices subject to change based on market fluctuation and product availability. Prices reflected are for cash, check, or bank wire. 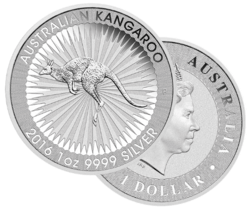 1-ounce gold American Eagles and 1-ounce silver Australian Kangaroos are available in our choice of date. Minimum order of (100) 1-ounce silver Australian Kangaroos and (20) MS64 Morgan Silver Dollars. 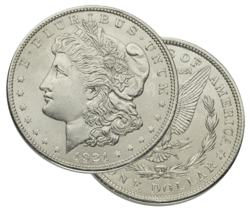 Free shipping available for purchases of (20) or more MS64 Morgan Silver Dollars. Morgan Silver Dollars will arrive graded by either PCGS or NGC. For gold and silver with The Perth Mint, visit our website for full terms and conditions. Offer expires Friday, March 30, 2018, or while supplies last.